Jaral Holdings provides site selection, leasing and sales, property and facility management, built to suit, turn key method, land development and real estate investment opportunities. We specialize in the design, development and management of high-quality commercial, industrial and retail properties. Our properties feature architectural design with attractive interior design located in prestige areas around the city. Click below to see a full list of the properties currently manged by Jaral Holdings. Is your company looking for commercial real estate? Click below to inquire about our availability. To learn more about what Jaral can do for your business click below. Why is Jaral Different From Other Property Management Companies? Jaral Holdings was incorporated in 1986 and is a privately owned company founded by Ralph Marziano. He wanted his business to be about delivering outstanding quality and lasting value to every building that was built and ever since, Jaral has been providing complete high-quality building services to all of its clients throughout Ontario. 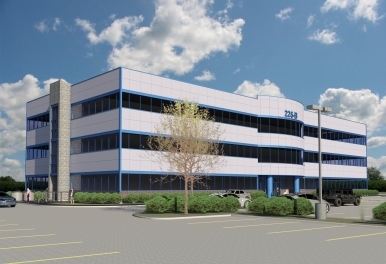 For the past six years Ralph Marziano, of Ramar Contractors Inc. and Jaral Holdings Inc., has provided exceptional professional services to the Ontario Universities’ Application Centre (OUAC), through the leasing and management of the OUAC property. Ralph is always very attentive to any of the OUAC’s requests, and ensures that the property look pleasant and professional throughout the year. The lawn and gardens around OUAC are regulary maintained to a high standard, and any building maintenance that is required is quickly carried out. Based upon their proven attentiveness and responsiveness, the OUAC has no hesitation in recommending the services of Ralph Marziano and Ramar Contractors Inc./Jaral Holdings Inc. to anyone who may consider working with them. The Ontario Agri Business Association is a non-profit organization that represents over 550 firms operating in the crop input, grain and feed sectors of Ontario agri business. The Association has been leasing 1,800 square feet of office space at the Jaral Centre located at 160 Research Land in the University of Guelph Research Park since September 1998 when we made the decision to relocate our offices from Cambridge to Guelph. During the past nine years, the Association has developed an excellent working relationship with Jaral Holdings Inc. and finds your level of service to be excellent. In this regard, the Ontario Agri Business Association feels that it has become part of the “Jaral family of tenants” and we certainly appreciate the personal level of service we receive. When you consider the care, effort and attention to detail that Jaral Holdings puts into maintaining this property, I am sure that the same can be said for your other properties. It is readily apparent that Jaral Holdings values the relationship with their tenants and takes great pride in what they do. The Ontario Agri Business Association is very satisfied with the location of our offices, the layout and design of the building, and the ongoing attention to maintenance of the building and property. This tenant/landlord relationship is certainly a key factor in the Association decision to extend our existing lease for an additional 5 years. We look forward to continuing our excellent relationship with you and Jaral Holdings Inc., over the coming years. My experience as a Tenant is an office building owned and managed by Jaral Holdings has been pleasant and positive. The management is courteous and attentive to our needs. 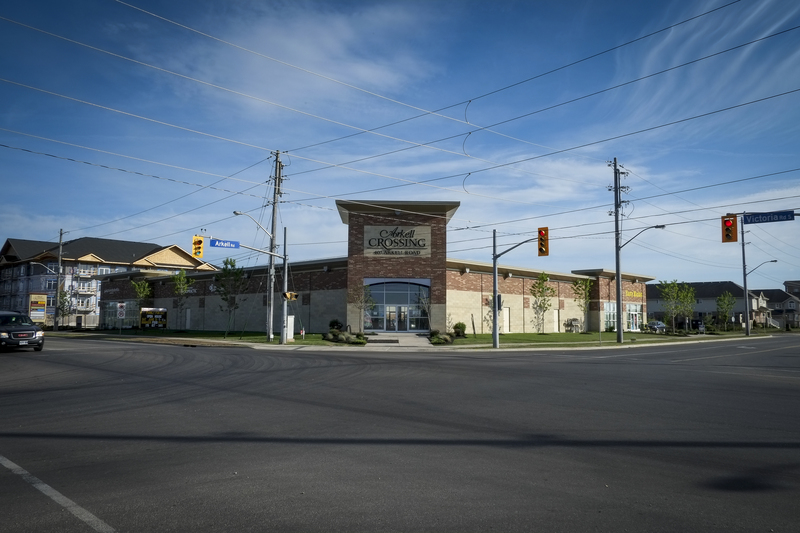 Tony L. Matteis - President - Matteis Realty Ltd.
As a growing company in leading edge areas of nutritional science , Nutrasource required a very custom solution in the planning, implementation and ongoing tweaking of its new facility space. Nutrasource undertook 2 facility developments in 18 months with very precise and specific requirements to ensure its unique business operations were met. Through all phases of the process, Ramar Contracting was very consultative, and worked with us closely in terms of communicating facility options, listening to our needs, and ensuring budget stability. The end result has meant we have a state-of-the art facility for our operational needs which has positively impacted our business by better showcasing our services. In addition to the building projects, Jaral Properties Management has been incredibly responsive to requests for general maintenance, additional changes, and emergency response. The entire facility beyond our suite is very presentable inside and outside, and creates a very positive business atmosphere to receive and hosts guests and clients. William J. Rowe - BA President and CEO - Nutrasource Diagnostics Inc.